We are deeply focused on 21st century academics. 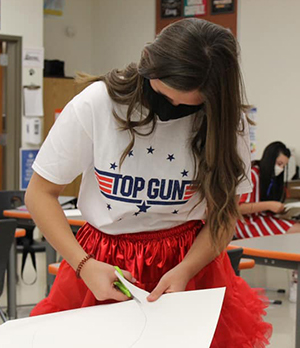 Powell High School offers a wide selection of curricular options for students, including high-ability programming, advanced placement courses, dual/college credit courses, band, choir, theatre arts, career and technical education courses, and world languages. In partnership with Northwest College, we offer a variety of dual-credit and Advanced Placement (AP) coursework for students on track to attend college or university. We offer dual-credit courses both on and off campus. These classes allow students to earn high school and college credit at the same time—and help parents save money! Classes are free, but students must provide their own transportation. Career Technical Education (CTE) offers students career-related coursework in a variety of fields. Many of our classes allow students to earn specialized certificates that can open doors to employment immediately after graduation. These classes also met Hathaway Scholarship requirements. Learn more about Wyoming’s educational standards and assessments.